I've kind of had a crappy week. And I've complained a whole, awful lot about it. So, suffice it to say - I've kind of been down in the dumps. 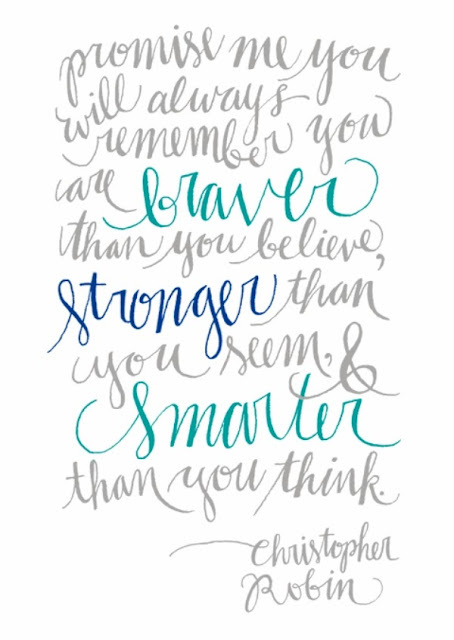 Because, as corny, and petty, and self-centered as it sounds (as it is) I need a reminder that somewhere, inside of me, I am smart, strong, and brave. And that I can do this. Sometimes you just need that, ya know?